Try These Tips for Emergency Toothache Relief… as Soon as You Make Your Appointment! Wondering how to stop a toothache? While there are things you can do at home to alleviate your discomfort, your number one goal should be addressing the root cause. When we experience pain, that’s a signal that something is wrong in our body. Oral pain indicates a problem that must be treated as soon as possible. A toothache can be caused by a variety of conditions that will often get worse when left untreated. 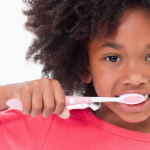 These can include tooth decay, a tooth fracture, infected gums, bruxism, or an abscessed tooth. All can have serious repercussions on your health, but particular conditions can certainly require more immediate attention. Below, we discuss emergency tooth relief, different causes of oral pain, and tips to help you feel better while you wait for your appointment. If you believe that you have had a dental emergency because of extreme pain, a severe break, or displacement of the tooth, call Penn Dental Medicine (215-898-8965) during office hours. Otherwise, head to the nearest emergency room. Even teeth that have been knocked out can be replanted successfully when treated within an hour of the incident. Even if you don’t think a cracked tooth merits emergency treatment, it’s important to call the dentist and explain your symptoms. 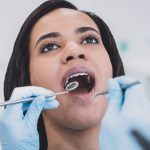 Depending on the severity of your case, your dentist may use bonding, crowns, root canal, or a combination of treatments to fix the broken tooth. Dental decay is perhaps the most common cause of a toothache. When bacteria build up in the mouth, they solidify into plaque (which only the dentist can remove from the teeth). A toothache from a cavity can vary from a minor sensitivity to acute pain. Left untreated, a cavity can progress to become an abscess. Dental abscess describes what happens when a tooth fills up with pus due to bacterial infection. A dentist will treat an abscess by draining it and getting rid of the infection. The tooth can often be saved with root canal treatment, but leaving an abscess untreated can lead to major complications. Gingivitis, or gum disease, occurs when the gums become inflamed by bacteria. Sensitive or bleeding gums can be painful and very damaging over time. 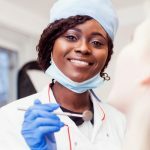 Gum disease is the number one cause of tooth loss, which is why you should visit a periodontist for specialized treatment if you have a chronic case. Bruxism, or teeth grinding, is another reason why many people experience tooth pain. Oftentimes, the grinding occurs at night and patients are unaware of it. If you are diagnosed with bruxism, a night guard is an effective treatment for alleviating pain and protecting you from further wear over the years. Rinse with salt water. Gently swishing warm salt water around in your mouth is a great, natural way to keep it clean and relieve discomfort! Use a cold compress. If your face is swollen, you can apply an ice pack to your cheek to decrease inflammation. Rinse with hydrogen peroxide. Just be sure not to swallow it! Hydrogen peroxide kills bacteria, reduces plaque, and heals bleeding gums. You can dilute it with water for use as a mouthwash. Take an over-the-counter pain reliever. Ibuprofen can help with the pain and swelling, but be careful not to take it too often because it can damage the stomach lining. 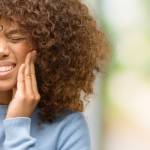 Whether you’re wondering how to get rid of tooth pain from the nerve (abscess/cavity), bruxism, or gum disease, a toothache is no laughing matter. 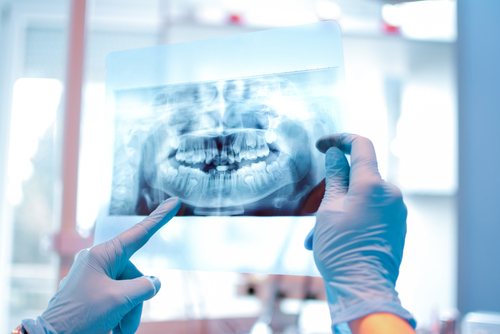 Penn Dental Medicine provides relief and effective treatment for a range of tooth conditions. With a variety of specialists under one roof, we can give you the targeted care you need to stop a toothache. Please call us at 215-898-8965 so we can get you to the right student dentist as soon as possible.